One word to describe my personality. What word would you choose to describe your personality? The word personality originates from the Latin word persons which means mask. Personality refers to a pattern of thoughts, feelings, social adjustment, behaviour shown over time, that influences one's expectations, self perception, values, and attitudes. There are many words to describe who I am. Perfectionist is just one of three words to describe my personality. I have decided to write about my internal thoughts and views and how I see myself and my world. One of my biggest problems was being a Neurotic Perfectionist, with OCPD, and I suffered Suicidal Depression. 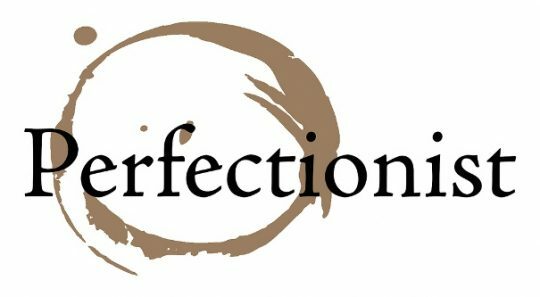 Let me explain what a Perfectionist with OCPD means, and share with you my experience Of Living with this condition. 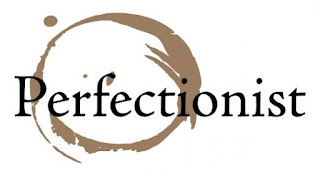 Perfectionism, in psychology, is a belief that can and should be attained. In its pathological form, perfectionism is a belief that work or output that is anything less than perfect is unacceptable. At such levels, this is considered an unhealthy belief, and psychologists typically refer to such individuals as maladaptive perfectionists. Self-oriented perfectionists, who believe they must be perfect. Other-oriented perfectionists, who want others to be flawless. Socially prescribed perfectionists, who feel they must be perfect because someone might be watching. "These individuals don't have a real high regard for themselves," Hewitt says. All three types, he says, put themselves through the same self-inflicted punishment. "People who strive for excellence tend to experience satisfaction; people who strive for perfection tend not to." Volunteers in Hewitt's study take a computerized test. Meanwhile, monitors watch for signs of stress. Those who agonize over their answers long after the test is over reveal themselves as possible perfectionists. Are you a perfectionist. Take the test to find out! My results from the perfectionist quiz. Perfectionism is an intellectual exercise that draws attention away from emotions and prevents the you exploring your creative power. Perfectionism is an attempt to live in an imaginary world to escape from living in the reality. It fixates your attention on how your circumstances should be and masks the feelings about how life really is. Every ism including perfectionism is a compulsive need to control, created by fear painful emotions. It is a search, imposed on your circumstances, yourself and others for a solution to emotions that are to painful to experience. Perfectionism is to live in an illusory future that cannot be attained. it is a hunger that cannot be satisfied. A thirst that cannot be quenched. and Pain that cannot be relieved. It is a persistent and painful drama that lures your attention away from the real feelings that you have. This is what happens. We become fixers.We try to fix everyone's problems.But all these problems weigh us down. We rob our body of energy and burn out. Our immune system breaks down and we become ill.
We need to let go of things that we have no control over. Our perfectionism plays havoc with our children's lives. Be a Mentor or a teacher but not a rescuer. 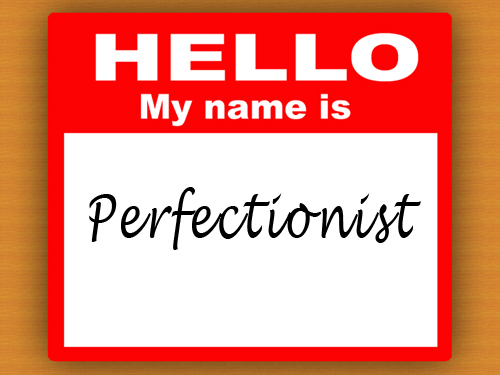 I have spent most of my life chasing perfectionism. When I was young I tried so very hard to be a perfect child, to gain love and affection from my mother. 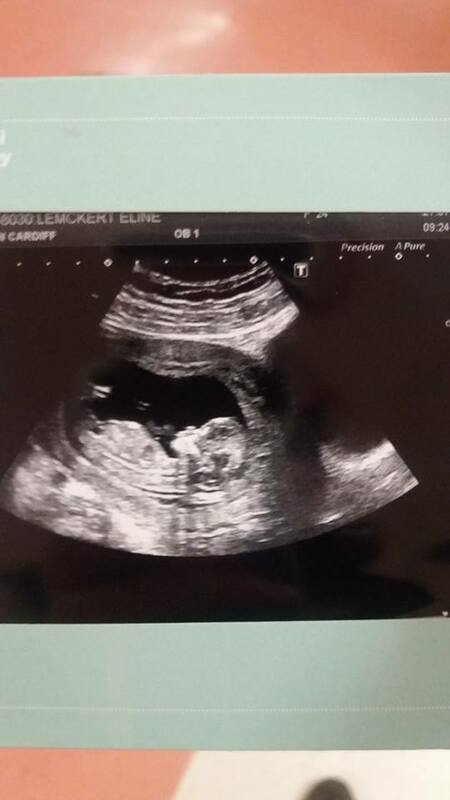 Then the perfect student, and on to be the perfect mother and then the perfect wife. Everything I did was to a standard that no one could achieve. My house was perfect, my chores were done, Leaving me time to spend with my family, time for self, time to enjoy my life. I did well on all accounts except for the perfect marriage. My husband's behaviour and my volatile attitude made sure of that. But that didn't stop me. it just meant I wasn't trying hard enough. I just had to try harder. Eventually, there came a day when the whole trip collapsed. I realized that the game was up – that despite my best efforts, I would never be perfect. I became a Neurotic Perfectionist. I was motivated by the need for approval, by my family and friends. I was Told By a Psychiatrist that I was suffering from OCPD - Obsessive, Compulsive, Personality disorder. Perfectionism is a socially approved trap. It may sound reasonable to "always aim for the best," to "never settle for second place," and so on. But in the end, perfectionism is a hopeless game. It is like endlessly chasing a carrot on a stick. On the deepest level, perfectionism is a futile search for self-worth. "If I do this one thing better," perfectionists say to themselves, "then I’ll be worthy. Then I’ll be a good person, and people will like me, love me, want me or even need me. But this is far from the truth. Doing better and being perfect does not guarantee us love, worth or anything. perfectionism robs you of your self-worth, your peace of mind, your enjoyment of life, and self-esteem. I would willingly Submit to the wishes, expectations and demands of others. I found it impossible to say No when asked to do something by my family and my friends. I became a Neurotic perfectionist due to bad parenting, emotional and mental abuse.I was brought up to appease and please others if I wanted any love. OCPD means being personally obsessed with doing the right thing and avoiding mistakes. My life was overtaken by my compulsive cleaning and organising. My crystal and glassware had to be sparkling. My ornaments had to be symmetrical, and everything had to be in its place. I am aware that I have to work on the underlying prosses and drives, not just the symptoms.